Today I want to share a cute nailart which is simple to achieve and very apt for Movember Theme. Since Movember is almost over I felt I should give these cute moustache nail decoration a try which was sent to me by BornPrettyStore. 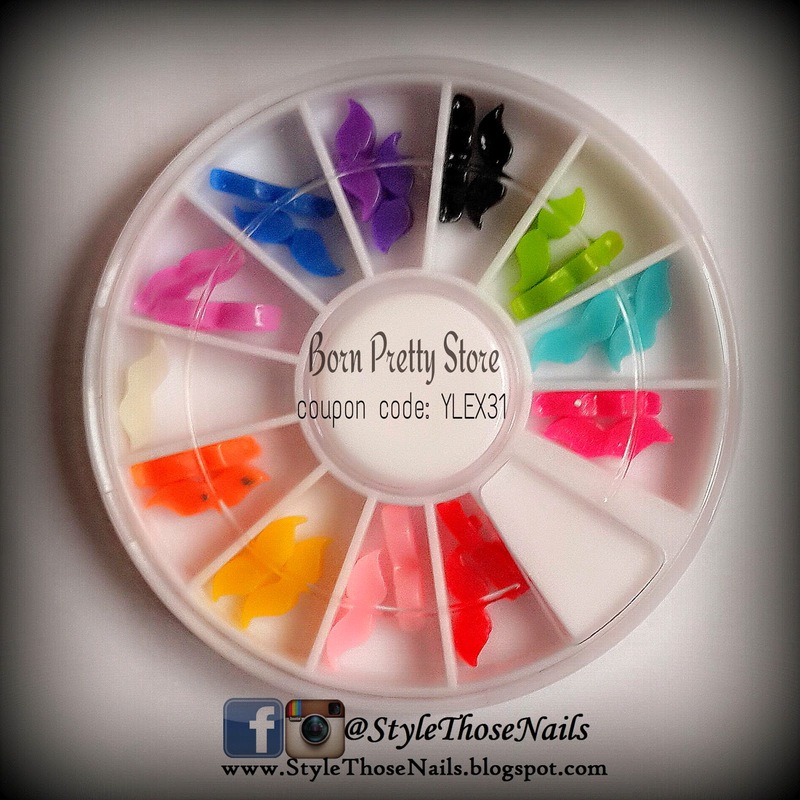 I took inspiration of colors from this candy colour moustache nail decoration wheel. I used a white moustache from the wheel but added dots of different colours using toothpick to match other nails. I also want to mention that on accemt nail I used a silver polish which got shrunk and gave a nice texture (see closeup above). I guess the reason was that I applied the glue base which was thick so it reacted with polish and gave this effect. I really like this wheel. It has 24 pieces of moustaches of 12 different colours and all colours are lovely& eye-catching. The quality of plastic used is good and base is flat so sticks on the nails nicely. 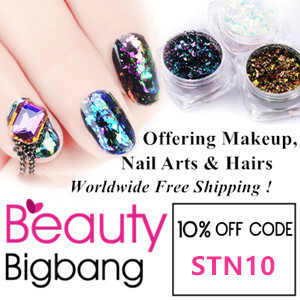 I used a top coat to stick it on nails as I am not planning to wear it longer but if you want to wear it for long time then use a nail glue. Stay tuned for review of other items sent to me by BornPrettyStore. Don't forget to Comment and Share !